Milky Sea has been documented in various forms over the last 400 years and it’s one of the strangest phenomena you might spot on an ocean voyage. 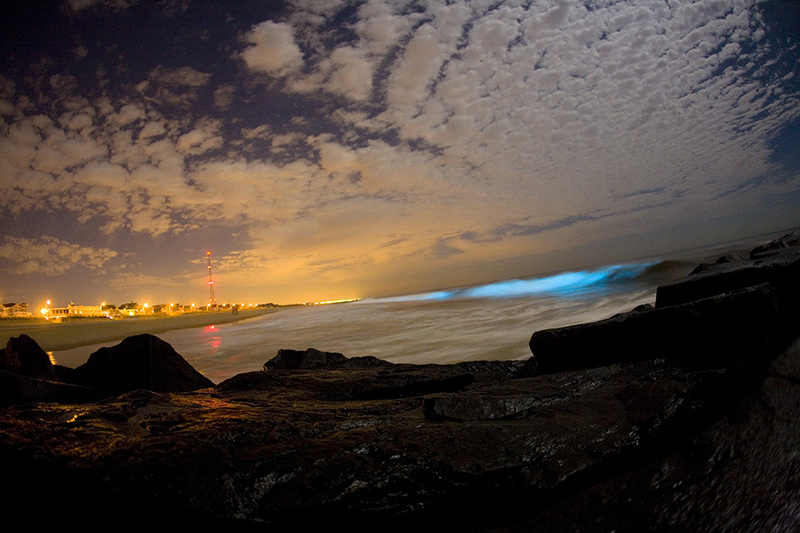 It happens when bioluminescent sea bacteria cause water to turn blue. When this happens, your eyes see this change in colour as milky white. 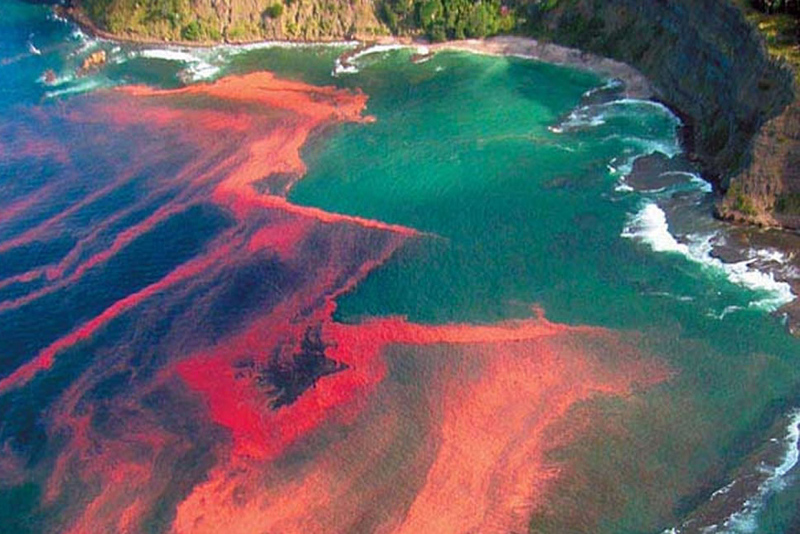 Large amounts of algae blooms turn the tide red in the South Pacific. Red Tide might sound particularly ominous, but it’s actually just the result of large amounts of algae bloom turning the water red. However, these blooms aren’t completely harmless – shellfish and larger fish can pick up diseases after eating them. So, it’s best to put away the fishing rods during Red Tide time! Would you like to explore the ocean world to see what phenomena you can spot? There are many different ways you can do this by taking part in the Tall Ships Races & Regattas in 2019! Fluffy sea foam is a strange spectacle that can be seen on shorelines around the world. It’s most often caused by high levels of dissolved organic matter. This can be hazardous when it consists of large amounts of algae bloom – it can cause skin irritation and respiratory problems. Watch out! Bioluminescence captured on breaking waves. Much like St Elmo’s Fire, bioluminescence isn’t just seen at sea. Believe it or not, it’s the production and emission of light from a living organism… and it can look particularly eerie! You’re most likely to see this in large groups of small fungi. Our oceans are immense, wild and mysterious places that boast incredible mysteries and fascinating phenomena. When you take part in an adventure under sail, you’ll have an experience unlike no other. And, if you’re lucky, you might spot one of these five incredible ocean phenomena. Would you like to explore the ocean world to see what phenomena you can spot? There are many different ways you can do this by taking part in Sail Training International’s Tall Ships Races 2018 and the Three Festivals Tall Ships Regatta 2018. Check out our event page for more information. You can book your place directly with a participating vessel, or if you’d like help simply email our friendly team on enquiries@sailonboard.com who can make recommendations, answer questions, and process your booking for you.